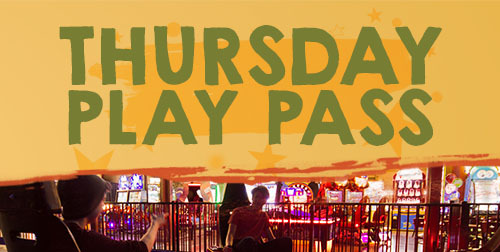 Every Thursday from 3pm-9pm enjoy 14.99 All Attraction Passes. Every Thursday from 3pm-9pm enjoy 15.99 All Attraction Passes! All Attractions Passes include unlimited laser tag, laser maze, climbing wall, Spin Zone bumper cars, plus one ropes course session.